Hey everybody! How are you all doing this fine day? Well I hope? I am super excited to be posting on my arts and entertainment blog today as it is about the second installment of one of my favourite movies of all time, Trainspotting! The original movie was released in 1996 and was hugely popular. 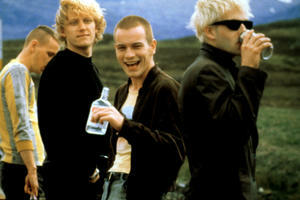 It has been released on DVD and you can find cheap and affordable bargains on all things to do with Trainspotting over at http://www.easyprices.com/. Just check out the range of product that they have despite the original film being 20 years old. That proves its popularity if nothing else does. Before I get onto to talking about the second movie, I just wanted to thank those who emailed in regarding my last blog post. It was great to hear your opinions and points of view. I am glad that you enjoyed it as much as you did and found it useful and informative. If you would like to give me some ideas about what to blog about in future please don’t hesitate to drop me a line and tell me what you would like me to talk about. Also don’t forget to opt in with your name and email address to be the first to find out about our upcoming promotions! I would not want you to miss out! Right then! Onwards! Let us get back on subject and get talking about today’s post topic. 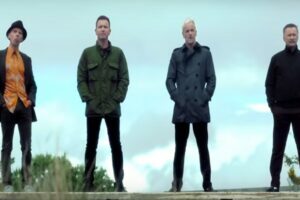 T2 Trainspotting! This movie is going to be awesome and even Irvine Welsh, the author of the original Trainspotting novel, has been quoted as saying that T2 will be better than the original. That is certainly some claim and I can’t wait to see if it is true! Wow! As you can see I am uber excited about this movie! It really is going to be one of the highlights of 2017 for me. But I am also looking forward to seeing Hell or High Water which is a neo-western featuring Jeff Bridges. It has been ranked at 98% on Rotten Tomatoes! It is that good apparently! Have any of you seen it? What did you think? Why not drop me a line at the usual address to let me know what you thought. Do you think it is worth a 98% ranking? Let me know your thoughts people! Ok, I am away now for a few weeks visiting family but I will be continuing to post all the same, although the posts maybe a little shorter. If you get stuck for some reading in the meantime, you should check out this blog post that I wrote recently if you haven’t already: http://www.myaxe.co.uk/art. I will be back with another longer and comprehensive post in a couple of weeks, but don’t forget that you can also submit your own posts if you would like your work to grace the pages of my humble blog. Just send them in for review and I will throw them up for the whole community to enjoy. That is what this blog is all about! Sharing and contributing, so get amongst it! That is all from me for now folks! Bye!